Ever fancied yourself as an artist? Well here is a great way to have some guidance and get a painting of your pet! 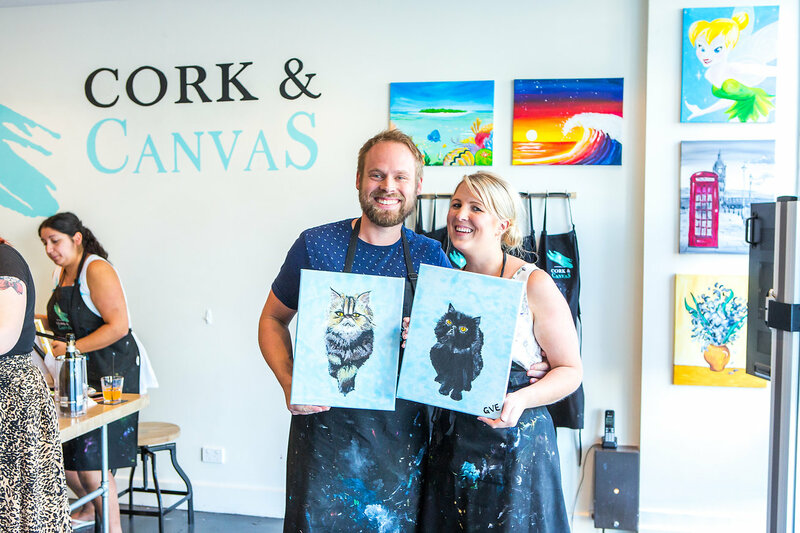 The first week of June marks Pet Appreciation Week (4-10 June), and to celebrate, Australia’s first paint-and-sip studio Cork & Canvas, are encouraging pet owners to head along to ‘Paint Your Pet’, where you get to create a canvas of your furry friend plus enjoy some wine (byo) as well. You will need to act quick because tickets sell out fast. 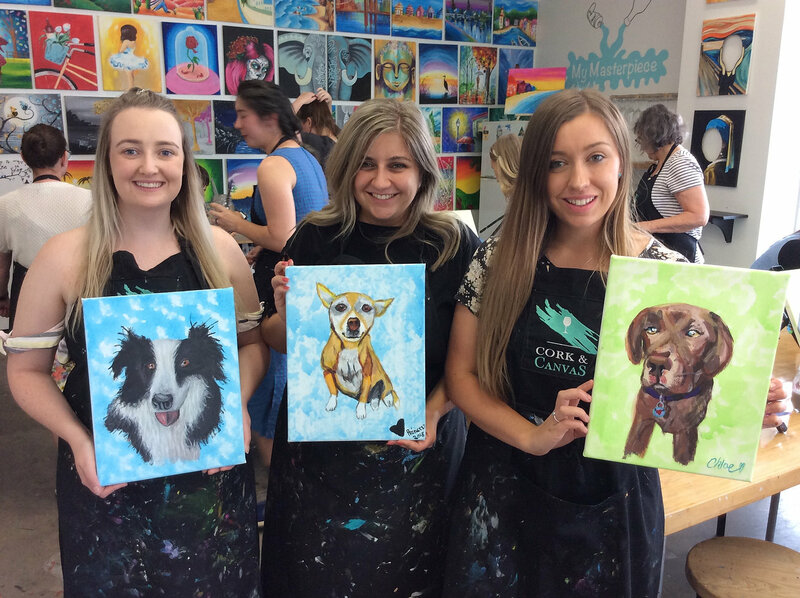 Participants submit photos of their pet to the artists at Cork & Canvas, who then sketch the photo onto canvas, so even the most inexperienced painter can paint their pet. You don’t need any art experience, it’s just a fun event where you can be creative. 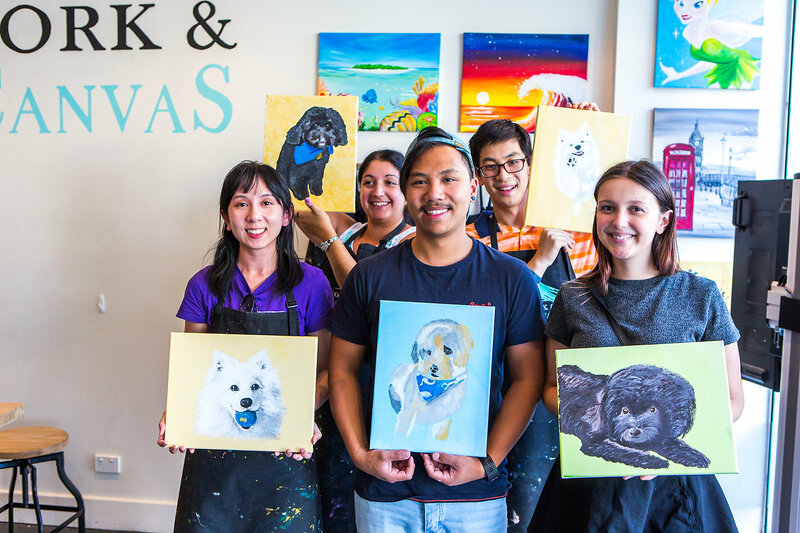 The 3.5-hour ‘Paint Your Pet’ session has professional artists providing step by step guidance on how to paint with acrylics on canvas, while allowing patrons to let their creativity run wild. Art essentials, glassware and good vibes all come provided at Cork & Canvas, while customers BYO drinks and nibbles. At the end of the event you get to take home your masterpiece.